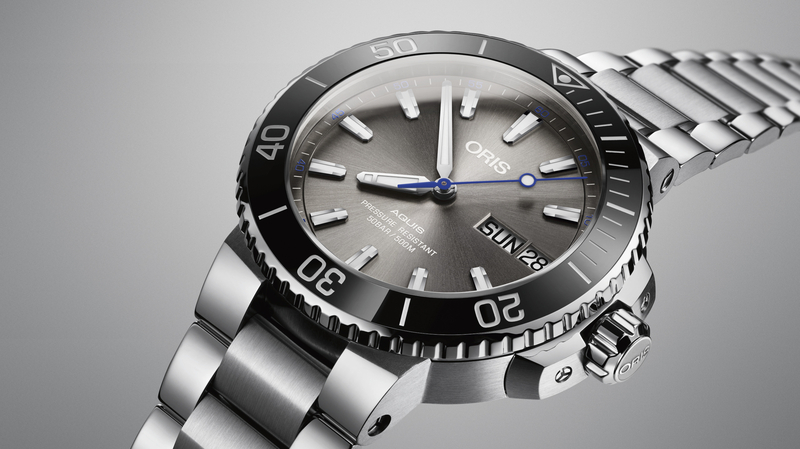 Oris has not produced an in-house movement for over three decades. 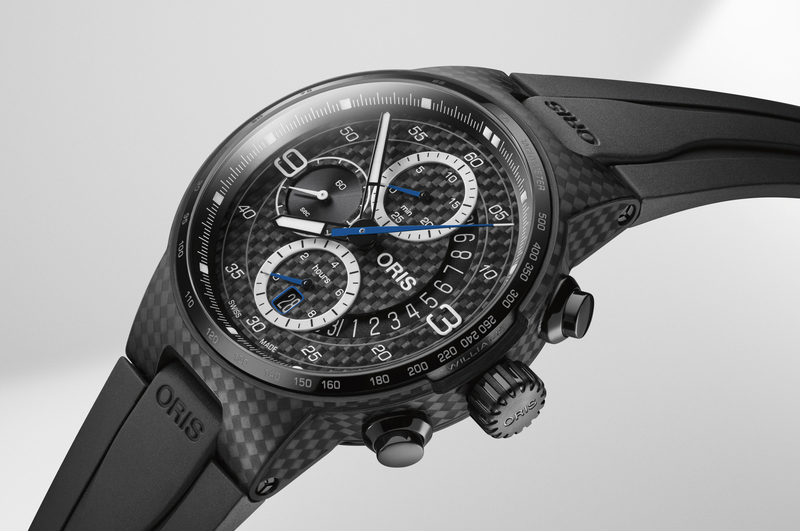 That will all change next week at Baselworld when they officially launch the Oris 110 Years Limited Edition timepiece. 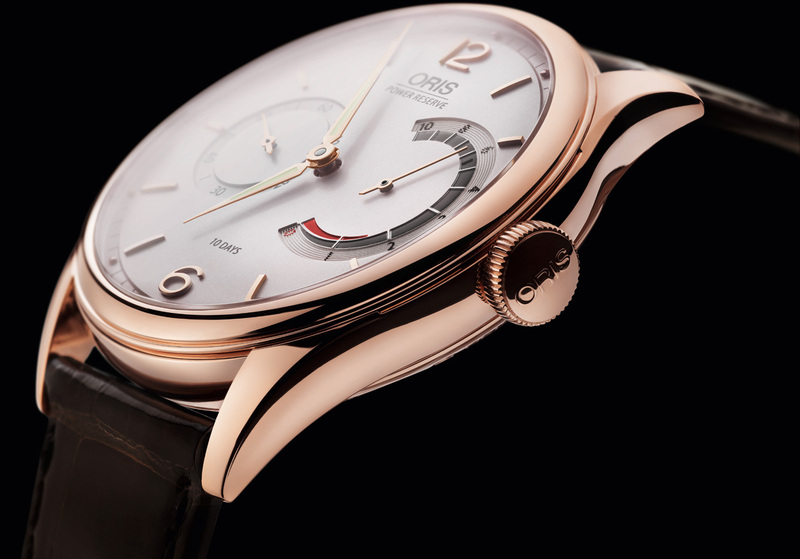 Oris was founded in 1904 and this limited edition marks the brand’s 110th anniversary. 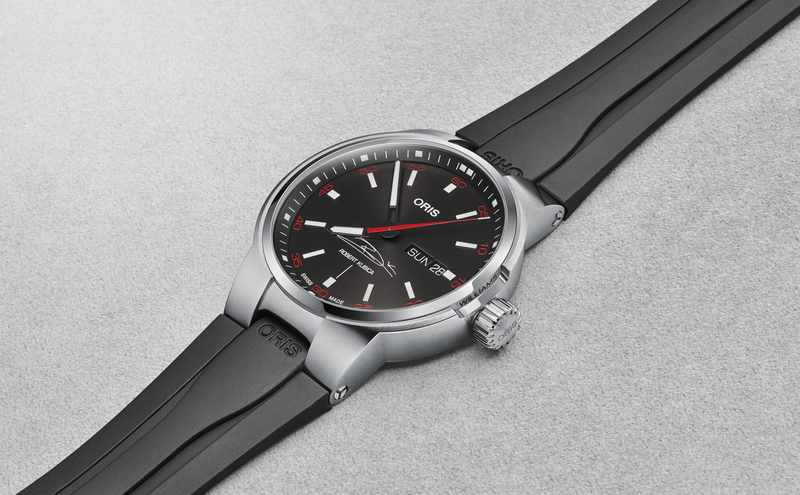 The all-new Oris in-house manufactured caliber 110 is manually wound and features a patented non-linear power reserve good for a very impressive 10-day power reserve (240 hours). To achieve such a long power reserve, a very large single mainspring and barrel was used (the mainspring is almost 71 inches long). Caliber 110 runs at 3Hz, has 40 jewels and 177 total parts. It has been nicely decorated with hand bevelled edges and an untouched industrial finish on the bridges. The movement was developed by Oris, L’École Téchnique Le Locle (Technical College of Le Locle) and Manufacture Horlogère Vallée de Joux (MHVJ). The dial has polished applied indexes, with Arabic numerals at 12 and 6 o’clock. Luminous facetted lance hands indicate the hours and minutes. A small seconds indicator sits at 9 o’clock, with a large 10-day power reserve indicator at 3 o’clock. The Oris 110 is presented in a 43 mm diameter case that has been polished to a mirror finish, available in either stainless steel or rose gold. Each version is numbered and limited to 110 pieces. Retail price is $6,300 in steel, or $16,900 in rose gold. Previous articleSmartwatchesIs the Moto 360 the reinvention of the modern timepiece?